Social Media and blog pages all across the web maybe flooded with top 10 or more reasons to travel with your brother or why your sibling is so special on the occasion of Raksha Bandhan. 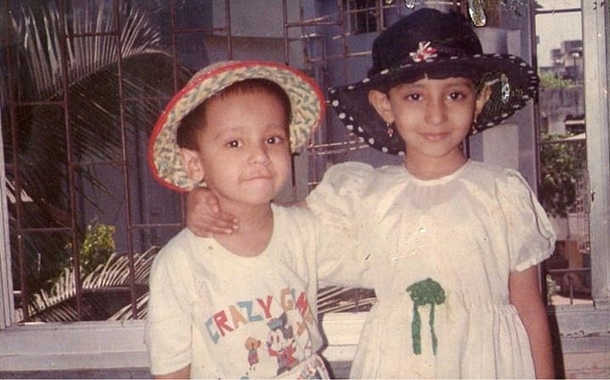 We decided to go one step ahead and get you a travel story of two trek crazy siblings. Just one. 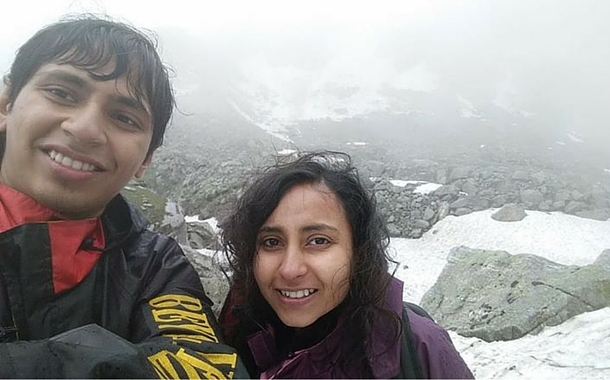 But one so real that you will just know why your sibling is the best friend and travel companion for you..
Meet Winnie Karnik, fellow travel blogger and her brother Vipul Karnik, an I.T professional as they share with us their travel experiences. Mind you, all we did was ask them about their experiences; and the interview just flowed on, and on, and on . You get the gist, don’t you? Me: As per your travel stories, you seem to be the perfect travel companions for each other. But personally, what kind of traveller are you? Winnie: (Without waiting for her brother to answer) I think, going as per what I and Vipul have, we both are adventure junkies, big time! But Vipul is much more of a leisure traveller. Vipul: I’m a bit of a beach bum as well, I like lazying around and lying about in my hotel before the adventure starts. So, I think it’s safe to say that I’m among the people who lets adventure come to them, rather than going out and getting to the adventure. Winnie, on the other hand is all out there! She likes talking to people, getting directions, going about on her own. Winnie: Yes! His habit of lazying around in the hotel gets to me at times when we reach a particular place, like the recent trek we had to Manali! Remember the time when I just dropped my bags, and wanted to explore the nearby area, and you just wanted to rest on that super comfy bed? I went all alone! He just refused to come with me! Vipul: I cannot actually help it! She is this person who likes socializing, whereas me, I prefer going down the safe road and using GPS, or even Google to find out the silliest queries about the place that I’m going to visit. But, that’s not Winnie! She will just start talking to a local and find out all about the place. Winnie: (laughing) Yes! 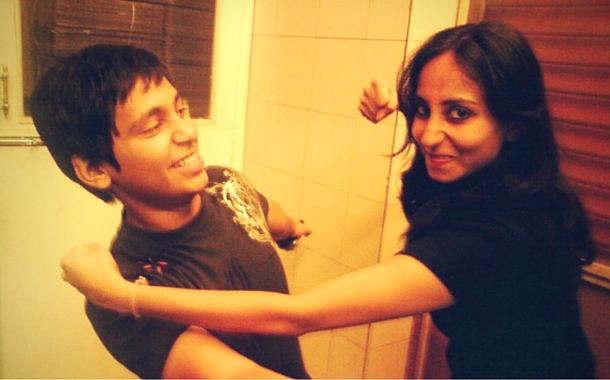 And I have to give Vipul the credit for being a really cool brother, and allowing me the space to explore unlike the stereotypical brothers that you may probably have seen who are protective about their sisters. Vipul isn’t at all like that! He just knows that I will be safe and sound wherever I am, provided I stay within network ! Talking about network, there was this one bad travel memory I have, about Vipul. Winnie: There was this one time when Vipul just went off with his friends to a party in Delhi, and the strong boy that he thinks he is, he forgot to check his phone for network! Although I was sleepy I couldn’t bat an eyelid without giving him a lecture of his life! Imagine not getting a call from your kid brother for 5-6 hours, till late night, that too when you’re in an unknown city! Winnie: But that’s something unique about travelling with you! You’re someone who knows me inside out. You know Roshal, now that he lives in Thane and I in Dadar, I feel his absence. Vipul: Have you rehearsed these lines? I know you have! Winnie: Now that’s an assumption. Just like always, you hear half and assume half. It’s really annoying when you do that! Vipul: It gets equally annoying when you fill feedback forms, hordes and hordes of them. She just does not move until and unless she writes down a feedback if a service that has been meted out to us has been unsatisfactory! She has something to say about everything! Winnie: Of course, Now I won’t retort back on your comment, or else you’ll say that I’m commenting on this as well! If I ever get a chance, I’d probably send you to the Chadar trek, Oh but, you’re unfit! Oops! Vipul: Now you’re just rubbing it in! Me: Okay! Since we’re anyways on the topic of your chosen destinations, which would be the package that you would gift your sibling? Winnie: That’s actually the easy bit. Since we’re talking hypothetically, and not really about sending you anywhere, (laughs) it would be a Dubai package. Especially for sky diving! Also, a Malaysia package because there’s this batman cafe that he is dying to visit. I think that’s about it. 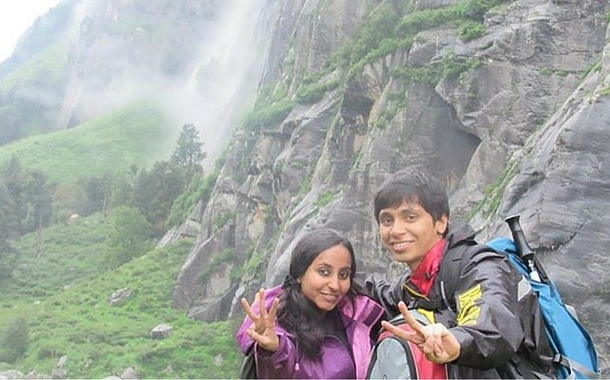 Vipul: For her it would be the New Zealand sky diving, Africa's wild safari, and without a doubt, Switzerland. Winnie: There’s one more you’re missing! Vipul: You gave me two destinations. Why do I have to give you four? Winnie: Because its Raksha Bandhan! How can you be so..
(..and it went on!) But frankly, this was one of the best 45 minutes of our day, undoubtedly. This interview has just reinforced the belief that we always had - a trip with your sibling can be the best gift ever. After all why gift your sibling an ordinary gift when you can gift him/her an experience! Gift your sibling an experience this Raksha Bandhan that he/she will remember, forever. Check our holiday packages now!